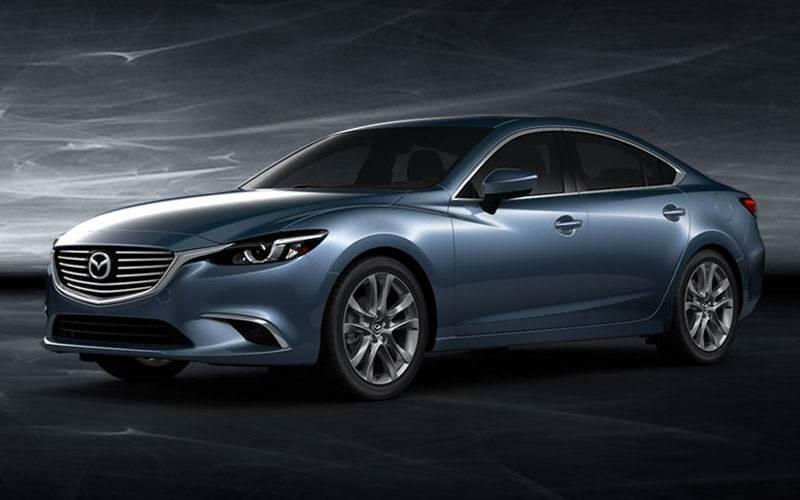 Island Mazda located near Staten Island, NY proudly introduces the all-new 2017 Mazda6. The interior of the 2017 Mazda6 is designed to envelop you in sporty refinement, with a sleek dash and a large center console, an instrument panel that complements the Mazda6’s available leather-trimmed sport seats, it is impossible to find any flaw. Island Mazda has the 2017 Mazda6 that offers spacious and comfortable seating that you and your passengers will enjoy. Not only does the 2017 Mazda6 offers its customers a lower price than its game-changing predecessor, the Mazda6 also offers you great fuel economy. With 24 MPG City and 34 MPG highway, the Mazda6 beats its competitor. Not only does the Mazda6 receive better gas mileage, it also has an acceleration of 7.5 seconds and 184 HP at 5.7K RPM. With everything the 2017 Mazda6 has to offer, it is easy to see why it beats its competitor. The Mazda6’s already-impressive interior has been further improved for 2017. A big change comes to where it’s needed most: the infotainment system. After last year’s move to a 7-inch center display controlled by a rotary-dial master control, it becomes standard across the line. Top-line Grand Touring models feel like a luxury sedan with perforated leather seating and a head-up display. On paper, the rear seat’s 38.7 inches of legroom look good, but in reality, the overall space can feel tight. Up front, the sport seats are well-bolstered on the sides but less so in the back. Larger drivers are advised to try before buying. Mazda6 today! So if you are in the market for a new vehicle head on down to your local Island Mazda near Staten Island, NY, and test drive an all-new 2017. Or click here to find out more about getting your next 2017 Mazda6!